By and large, people probably have a positive view of “free parking,” but the parking really isn’t free … not even close. In fact, it’s bloody expensive. UCLA professor Donald Shoup is famous (in city planning circles, at least) for his book The High Cost of Free Parking, but the USA hasn’t changed much since that book was first published back in 2005. We continue to massively, massively subsidize parking, and thus driving, even while mass transit and bicycling are stigmatized for the much more efficient subsidies they receive. Unfortunately, this actually means that the poor are subsidizing the middle class and the rich. A recent study by C.J. Gabbe and Gregory Pierce that was published in the journal Housing Policy Debate actually teased out how badly car-free renters in the US were forced to subsidize “free parking.” The total bill came to $440 million. There are a lot of car-free renters, so it’s hard to put that $440 million into perspective. The researchers went that extra step to help us understand the dilemma. Breaking it out by household, the figures are even more shocking to my eyes. The annual per household cost for these car-free households is $621, on average, which basically increases rent by 13%. That’s a 13% increase in rent just so your car-owning neighbors can park for free (and pollute your lungs, waterways, etc.). Furthermore, as you’d expect, these households typically aren’t the wealthiest to begin with. On average, their household income comes to $24,000 per year, which is far below the $44,000 average for the entire sample population. In total, the number of car-free apartment renters across the United States is estimated to be 708,000. That’s over 700,000 people with an average household income of $24,000/year who are subsidizing free parking for neighbors with cars. No offense to people who drive, but this is a ridiculous cost to those who choose to go without their own four wheels, or simply can’t afford them. It doesn’t improve their quality of life — quite the opposite. Furthermore, the problem is practically unavoidable since there are minimum parking requirements in place in city planning codes all across the country. 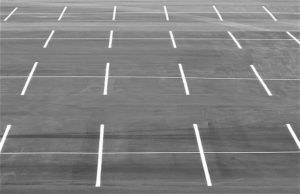 As Donald Shoup proposed over a decade ago, Gabbe and Pierce recommend eliminating minimum parking requirements, and they recommend that landlords unbundle parking spaces from rental properties, so that only the people who actually use the parking spaces pay for them. That seems like an obvious move that should have happened a century ago. That seems to just count the cost of parking at residential developments. Retail stores have to cover the cost of their ‘free’ parking in the price of goods sold, which everyone pays, including the carless. Free parking has never encouraged mass transit has it?